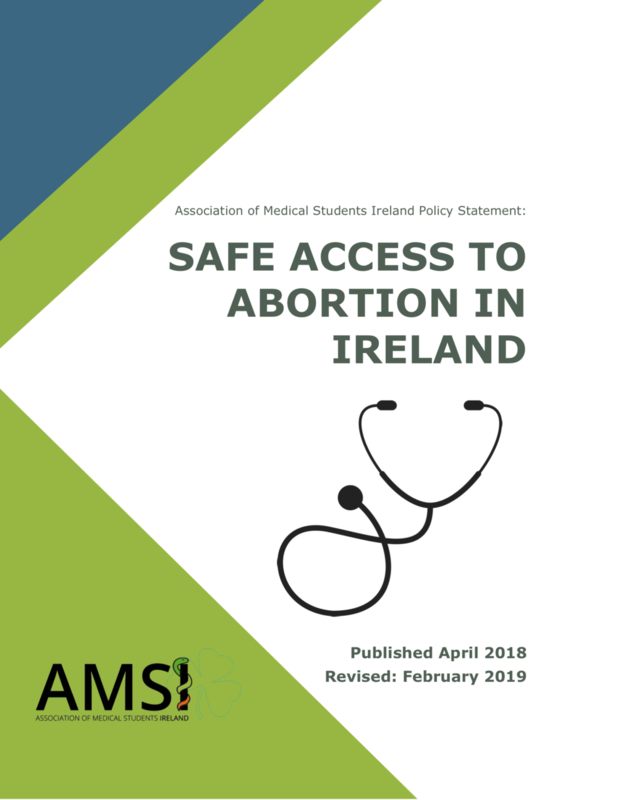 The Association of Medical Students of Ireland (AMSI) have revised their policy on safe access to abortion, originally published in April 2018. The changes were passed after a vote of each of the 7 AMSI Local Committees. AMSI recognises that medical students hold wide-ranging moral and religious beliefs about abortion and, consequently, about the appropriateness of the 8th Amendment's presence in Bunreacht na hÉireann. Nevertheless, AMSI is committed to upholding the principles of evidence-based practice and supports access to safe abortion on public health, reproductive health, human rights, and social justice grounds. We believe that individual decisions about reproductive healthcare are personal, and should not be affected by the moral and religious beliefs of others. Read our policy statement "Safe Access to Abortion in Ireland" now.